Making a New Logo for IOPS …? At IOPS Victoria we had a conversation about making a new logo. A logo is an image that presents the group’s idea or emotion and that symbol is to present them as one group to the public. But we considered that the current logo doesn’t function as a good image for IOPS. Some of these commercial logos are stronger visually than our current IOPS logo. I think this is why people never use the IOPS logo anywhere. We had a logo making project called by ‘Participatory Planet’. It was a really interesting experience. Normally logos are made by one designer or company’s idea but our project tried to logo in a democratic way! So we went outside and set up a table and colourful wheel. Then we asked member of the public: ‘What does participation mean?’ and asked them to draw their answer. And then we collected a lot of images about participation, and then we sat down and tried to figure out the best images. I simplified some of them using Adobe Illustrator so we can use the various logos for IOPS events and material. We can collect images in a kind of image bank and then they can be used by any IOPS members, or even some other activist, for whatever purposes. I would like to project to start soon, as I think we can make a better logo for IOPS and change the current one as soon as possible. There are a few problems though. We need an internet board or a website which anyone can easily up load new logo and it also needs a voting system. I don’ know if our current IOPS project page can do this things. It seems like very difficult to upload multiple images. But we might be able to either ask to webmaster or make separated blog. Is anyone having good idea for it? I’m not good at webpage things, so if there is anyone who interested in, please help in solving this issue. Please give any idea, I hope we can have creative and meaningful symbol for IOPS! 1. 1. Do you think we need to change IOPS’s logo? 2. 2. How can we make the project page where we can post logos and share images? 3. 3. How long should this logo project go for before we (hopefully) make a new logo? 4. 4. And how can we decide which logo to use? Should we vote? I definitely agree that the current logo is lacking and that we can draw on the collective talent of IOPS members and create a new and improved logo for our organisation. There is a noticeable gab between IOPS’s radical vision and the current logo which depicts a North-up, Europe centred, Mercator projection of the world, minus Antarctica. This logo-map is presented in a uniform washed out blue overlayed on a bland grey background. What’s more, the flattened world is, for some reason, surrounded by a ring, perhaps in a crude attempt to impersonate a globe. One doesn’t need to be doing a PhD on the politics of mapping—as I currently am—to note that the current logo is somewhat problematic and not exactly inspirational. Our logo should be a condensation of IOPS’s values as represented symbolically. It should be a visualisation of our vision. I’d like to see IOPS have a logo that is graffiti worthy: a symbol that could be spray painted on a wall, or scratched into a desk. It should be a symbol that we can hand-print onto shirts and wear proudly to provoke conversation and promote IOPS. Thanks Youbi, I will gladly join in this project! You've probably seen that IOPS Austria has flipped the image (see http://www.iopsociety.org/blog/report-from-iops-austria) so that for a change Australia is up-above. But it is still the Mercator projection with its exaggeration of countries outside the tropics. The new logo should indeed be simple enough that anyone can easily reproduce it – including hand painting it on a banner or placard – and strong enough that it is instantly recognizable. Yet I hope it would also be beautiful enough that people would want to wear it on personal jewelry such as hangers or rings, and that you'd also feel these are suitable gift items for people you care about. "Ethnocentric and ironic parallels can be seen between the Gulf of Guinea and the "Golf Kansas" Prime Points. "- Laughed. Enjoyed it all. I like the one with the arms in the shape of a Celtic knot. Realizing it sing the present site may not be easy. Although it is not particularly hard to upload new logos in a Resources section, these sections are tied to chapters and not projects, and I would not trust the software to handle uploading large numbers of images. Moreover, I don't see a way to present the uploaded images in project space. If we ever get around to redesigning the site, inclusion of state-of-the-art tools for collaborative authoring should be a priority. I know that the better is the enemy of the good, so I hesitate to bring this forward here, but I had a related idea. and is willing to act to make these come true. I tried several ideas for such a symbol; in the end I liked a simple five-petaled flower best, like this lilac hibiscus – beautiful enough to be turned into jewellery: http://www.iopsociety.org/download/file/LilacHibiscus_05-01-2014_17-04.jpg . Here is my attempt to simplify this to a symbol: http://www.iopsociety.org/download/file/FivePetaledLogo_05-01-2014_17-13.png . At the time I also thought that this would require getting other like-minded organizations and movements to cooperate. 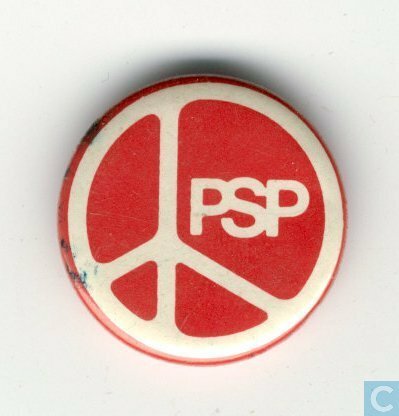 But then, the well-known peace symbol was originally designed for a much more restricted purpose, the British nuclear disarmament movement, but was adopted widely and internationally for the peace movement in general. It even lends itself to specialization for specific organizations, as in this badge of a Dutch political party I was a member of in the seventies and eighties: http://assets.catawiki.nl/assets/2011/8/26/3/f/f/3ffa4630-b21c-012e-ab43-0050569439b1.jpg . So a logo originally designed for IOPS might find a wider use. I concur also with Mapster Timothy ("Ethnocentric and ironic parallels can be seen between the Gulf of Guinea and the "Golf Kansas" Prime Points. "- Laughed.) above regarding graffiti and t- ofshirt worthiness. Lambert maybe six petals may work better as there are six core values! The petals are not intended to symbolize core values, and I find the look of the version with five petals more appealing than with six petals. I also think that the choice, grouping and labeling of the IOPS core values as presented in the Mission statement all have a great deal of arbitrariness. For example, I miss inclusiveness; one might say it is implied, but that is not clear from the present formulation. It is also too implicit that we reject the profit motive as a basis for taking economic decisions. 1 yep, 2 dunno , 3 not too short not too long, 4 yep. what a great process...way to be the change..! I'm very happy to see this initiative! Great idea! It looks like you had a lot of fun and I also like many of the logos very much! I'd like question some of the underlying assumptions however. Like why do we need a logo? It seems clear for everyone that we need a logo but also everyone appears to have different ideas about what it should look like. I think that is very natural as a logo is just a symbol and it means different things to different people. And why do we all have to use the same logo? How about every chapter has it's own logo? I personally find this much more appealing as it seems to be more IOPS-like since we appreciate creativity, diversity and cooperation and we oppose centrally planned, forever unchanging, one-fits-all solutions. IOPS is bottom up, not top town after all. So, I say let each chapter decide which logo they want to use, or if they want to use one at all. As long as it is in combination with the words (in different languages of course) I don't think there will be much confusion about what it is either. On the contrary I think it might be a nice idea to distinguish us from other (left) organizations. The idea, or hope, has always been that national and local chapters will self-manage the content of their own pages within the overall framework and organisational logic of this site - including creating their versions of the IOPS logo if members there want to. I am not sure if changing the logo at the National and local chapter levels is doable at the moment but if not I am sure that we could accommodate for this is people want it. As for changing the logo at the international level - I would have thought that would have to wait until we have a functioning international. Every local chapter could have it’s own logo but don’t forget that the international is a chapter itself. I don’t know about ‘need’ but I think the international should have one. So we have the name at the level of language and a logo at the level of the visual. Symbols are powerful. Once meaning has been invested in them, they can affect instantly. To respond quickly, I think we need a logo as images matter. Visuals make up a large part of our experience and can have a lot of symbolic power. As for the question of do we need one logo for all IOPS, I’ve no issue with different chapters using different logos if that’s what they want—I’d encourage the creative process that would lead to that. Perhaps it could even be a rotating logo which featured, for instance, the logo of IOPS Victoria one day and the logo from IOPS Austria then next. However, as Jason said, I really think we should change the logo on an international level. I can’t imagine anyone actually defending the current logo, perhaps not even it’s creator. It’s go nothing. And Mark, I don’t think we need to wait until the founding convention to replace the logo on the international page. I think there’s a fairly strong argument for changing it as soon as we’ve a worthy replacement. Once we’ve a collection of potential logos, we could have a poll asking the membership a) if they would like to change the logo at the international level, and if so b) change it to what. They we could vote on the options and have a discussion around whatever other issues come up. I’m in favour of making an image bank of logos and symbols that any chapter could add to and draw on, or, as Lambert said above, for use beyond IOPS by anyone who espouses the values. Timothy - there are certain decisions, regarding changes to interim IOPS, that we are leaving until our founding convention. Once we reach our interim targets we can do what you suggest. I disagree Mark. In some ways changing the logo at the international level really isn’t a big deal. It’s not like we’re trying to change the core values, or the vision statement, or anything else that’s actually important to IOPS. Rather, we’re proposing to change a inexcusably poor logo for a better one. I think putting off everything until the founding convention is a strategic error. As a young organisation it pins us into a kind of institutional inertia that prevents us from changing IOPS in ways that further the core values and goals. The current logo is indefensible — I can’t imagine anyone actually being attached to the idea of keeping it, except by deferring all decision making to an unspecified future event. We are not "putting off everything until the founding convention" and there is no need to "wait for the revolution" - there is plenty of important organising to be done in the interim phase. You say "It's not like we're trying to change ... anything else that is actually important to IOPS", in which case why make such a big deal about it? You are, of course, entitled to your opinion about the current logo but to say that you want to change it for a "better one" doesn't really mean much - everyone wants to change everything for a better one. That is easy to say. The hard part is coming up with a better proposal. Okay, you’ve responded to my arguments with a string of highly selective “scare quotes” wrapped in a dismissive tone. This is not very constructive. 1)	Initiate a creative process whereby any member can create new potential logos that better embodies the values and vision of IOPS. These logos can be stored in an image bank and used by any member for any purpose. 2)	Open a qualitatively discussion about their various strengths and weaknesses of the potential logos, coupled with a quantitative voting process, in order to determine the best one. 3)	Replace the current logo. I'm sorry Timothy but your comment contained some inaccuracies about important issues that concerned me and that I wanted to address. Perhaps you were being a little dismissive yourself about all of the important organising that can and needs to be done in our interim phase? Comments like "putting off everything until the founding convention" are neither true nor helpful. As for changing the logo - if members think that this should be a priority for the interim phase then that is their judgement. Personally I think that there are much more important things to be getting on with - but then I do not feel as strongly about our current logo as you do. No problem Mark, perhaps you’re right, I should have been more specific about what I was criticising. Basically, I am a little frustrated with a number of things on the website which don’t appear to be as transparent, mutable or even as functional as they should be. I’d like to see IOPS with a clever, practical and visually engaging website. Ideally, it would incorporate cryptographic systems to allow members to communicate in privacy, and other such tools to facilitate activism. The website should also be aesthetically appealing, not just to look pretty, but also because part of the struggle against capitalism takes place in the realm of ideas, images and imaginaries. This would take quite a bit of discussion, creativity and hard work, but I think it would be well within the realm of achievability. With that in mind, targeting the logo is part of a bigger project of trying to invigorate and improve the website. In my opinion a logo carries a huge amount symbolic weight in an organisation, and so if we can succeed in replacing the current ill-conceived logo with a one that better represents our vision, then this will demonstrate that the website is not static, and that —using a process that embodies IOPS values— it can be changed and improved. Hopefully, this logo project will be a fun, collaborate, community building exercise that develops our organisation and opens the way to future improvements. It is great that you and other members want to improve the site but I think that you should assume that the people who built this site also tried to make it a "clever, practical and visually engaging website" designed to "allow members to communicate in privacy, and other such tools to facilitate activism." How successful have they been??? Clearly you are not very impressed with their work but other members have said they like the site. The point is that it is very difficult - probably impossible actually - to make everyone happy. And this is what I meant by "The hard part is coming up with a better proposal." The process you outline is fine but I will bet you a million pounds that at the end of it there will be a member (just like you) who does not like the results. As you describe, the idea, has always been that members will get together and develop the site. We want IOPS to be a self-managed organisation. That is the hope. But for self-management to be meaningful we do need to meet our interim targets. As a member who uses this website quite a lot to organise events with IOPS Victoria, I am definitely aware of how important it is for our organisation. There are also a number of ways in which it could be greatly improved and/or expanded, and I look forward to conversations and contributions about how it can evolve. Regarding your million pound bet, you're quite right, there will be someone who, for whatever reason, doesn't like the logo that emerges from this project. Hopefully, if the process is transparent and participatory, then it will build enough legitimacy for whatever ends up being proposed to be accepted. And, while rhetorical wages are bring tossed about, I bet one million local currency credits that no-one will miss the current logo! "Hopefully, if the process is transparent and participatory, then it will build enough legitimacy for whatever ends up being proposed to be accepted." How do you see this fitting in with the logic of the interim phase and our commitment to self-management? Yes, the "logic of the interim phase". It seemed a good idea at the time. Now it is becoming more and more clear it is an albatross. I am sure that we agree that establishing an international revolutionary organisation represents a challenge - no matter how we go about it. That aside, if you think, as your comments suggests, that the approach adopted here (having an interim phase) entails some additional and specific burdens, then could you please say what they are? By postponing all decison making to an official launch that may never happen we create an impression of stagnancy to the outside world. This does not help to make us look attractive, thereby contributing to real stagnancy. While I understand the reasoning that led to this approach, I believe the "logic" behind it is defective. If the "future IOPS" is to prefigure the participatory society we aim for, then why can "interim IOPS" not prefigure "future IOPS". Shouldn't we engage in participatory decision making to bring our house in order and make it a welcoming place for our future members? The answer of the "interim logic" is that we must not make decisions for our future members. But by the same "logic" members of a participatory society should refrain from making decisions that have an impact on future generations! Moreover, any decisions we take now are unlikely to be irreversible if the future membership prefers another outcome. I see only disadvantages and not a single advantage. Lambert - your characterisation of interim IOPS is way off. There are numerous activities that interim members can be engaging in. So any "impression of stagnancy to the outside world" will be the product of members choosing not to engage, which says nothing about the interim logic. There are also opportunities for members to engage in decision-making at local chapter meeting and projects, etc - so no need to "postpone all decision making". But, again, this does require members to engage in some organising. If members choose not to engage in basic organising then IOPS is going nowhere - but that is true whether we have an interim phase or not. Yes, we could easily set-up an online network with members that voted on all kinds of stuff all the time. But the hope has always been that we would work towards establishing self-managed local chapters and national branches, all as part of the same international. There is serious revolutionary organising and then there is the pretend stuff. During the periods I'm awake I'm "engaging" almost full-time, but my activities are generally not recognizable to the outside world as having a relation to IOPS. For lack of local chapter meetings, there is not much there for me to engage in decision making. People visiting our website wouldn't see any of this anyway, as they generally will live hundreds of kilometers away from the nearest local IOPS activities. If members are not interested in setting up functioning local chapters and national branches then IOPS (or any other libertarian left revolutionary organisation for that matter) is going nowhere. This might tell us a lot about where the libertarian left are at in terms of how serious they are about organisng. However, this says nothing about the logic of interim IOPS. Abandoning our interim targets and setting-up an on-line organisation with voting facilties would be easy. But this would be just sweeping the real challenge of establishing a meaningful international revolutionary organisation under the carpet. Finally, whether isolated or as part of a local, there is lots and lots and lots of activities for members to engage in during our interim phase. So there is no reason for the site to appear stagnant. "I can only repeat myself." The very first condition required for setting up functioning local chapters is having members. A local chapter without members cannot function. I think that that is self-evidently true. When there are no members, as is the case almost everywhere, you cannot complain that members are not interested in setting up functioning local chapters. A non-existent local chapter cannot organize activities that might attract more members. You cannot blame that on the non-existent members either. You can try to blame all the non-members, but since they almost certainly don't even know that IOPS exists and will never find out that you're trying to blame them, it's not going to help either. So maybe we should stop the blaming game and try to figure out how we can attract more members. I am not complaining "that members are not interested in setting up functioning local chapters" where there are "no members". That would be ridiculous! Neither I am blaming "non-existent members" of a "non-existent local chapter" for failing to "attract more members" That would be even more ridiculous!! For you to write this stuff you must think that I am completely bonkers. What I was trying to address was your claim that the logic of the interim phase is inherently problematic and has generated an obstacle that is stopping us moving forward. What I am arguing is that it is interim members choosing not to engage (not you, me and others here - but the majority of members) as well as other left libertarians who know about IOPS but choose not to join that are holding us back. You blame the interim logic whereas I blame the passive membership - but we are both in the blaming game. The mistake that those who developed the idea for IOPS - its logic etc - may have made is in thinking that people who joined an organisation for a participatory society would actually participate. Well, there are some things that we just can not account for. Mark – we seem to have a problem in communicating effectively. IOPS appears likewise to have a problem communicating with potential members. I never understood the logic behind the interim phase. If we had experienced rapid growth, it would neither have helped, nor hindered much. As it is, the "preconditions" keep us from launching, which makes us look even more feeble than we are. And the "logic" is wielded as an argument why we should refrain from attempts to make IOPS look more appealing, even if it is something as elementary as creating a better logo. I am not aware of any serious attempts to analyze the causes and backgrounds of the low membership participation, but we should consider that many members may have entirely legitimate reasons for not participating in IOPS organizing activities, and, most importantly, that for the overwhelming majority of members there is absolutely nothing meaningful that they can do in the present set-up that would be visible to us as constituting organizing activity. I think it is wrong to label this as "interim members choosing not to engage". I estimate that, realistically, roughly 10% of the members would participate in IOPS organizing activities if there is a framework in which such activities are possible and meaningful. If IOPS had 30 million members, we would then have 3 million actively organizing members, enough to mount some spectacular campaigns. With 3500 members, it means roughly 350 organizers sprinkled all over the globe, and then what can you expect? What we need most, then, in this stage, is more members. And then there are some questions: Why should someone aspiring to a better world join IOPS? How will that empower them to further that aspiration? How will IOPS be a factor in helping to create a better world? Do we make any of that clear in our communication? Do we display, as Zane calls it below, "energy and creativity"? You cannot expect people to be "recruited" in large numbers by the current membership. Our website should be the flagship. If some factor is to be blamed for the sluggish growth in membership, I nominate IOPS's failure to communicate effectively. Above you identified the "logic of the interim phase" as the obstacle to moving forward. Now you are saying it is our "failure to communicate effectively" that is to blame for our "sluggish growth". You also keep-on insisting that "there is absolutely nothing meaningful" for interim members to do - but this is simply not true. It maybe correct to say that the organising that we need to do during our interim phase is not easy, but that is a different thing altogether. Regarding your question: "Do we make any of that clear in our communication?" I would say yes, in our key documents - but if you, or any other member wants to write a regular blog about this then go for it. That is one example of a meaningful activity that interim members can engage in for you! You also ask "Do we display, as Zane calls it below, "energy and creativity"?" I would say some, but nowhere near enough! But again this is down to the membership - if the majority choose not to engage then there will be only limited activity. But here is a thought - perhaps if you stopped complaining about the interim phase (which you have done from day one) and get behind it, and actually give it a chance, then there might be a little bit more energy and creativity. This also might help with our "problem in communicating effectively", as you call it. What could a member in Monastir, say, actually and realistically do that would be visible to you, Mark Evans, as constituting organizing activity? Because of sluggish growth combined with the logic of the interim phase, we can't launch and so remain in some limbo state. That does not make us look energetic and attractive, causing sluggish growth to persist – for all I know indefinitely. Is there a way to break out of this vicious circle? Why would giving the interim phase a chance help? What does it even mean to "give it a chance"? It is hard to "get behind" something you don't understand. Perhaps, perhaps, better communication towards potential members might contribute – but it can't if everything is in lock-down because of the logic of the interim phase. The key documents spell out what IOPS wants. I don't see an explanation why or how people's joining IOPS is supposed to further these objectives. If you see that in these documents, than you see more than I do. But since I don't see it, I guess many potential members visiting our site don't see it either. > educational work - giving talks, running workshops, writing, etc. > solidarity work - supporting progressive efforts in your workplace and community, etc. These are the kinds of activities that interim members can engage in - if they so choose - that would help us move towards a meaningful organisation. So no "limbo state" or "lock-down" but, contrary to what you suggest, plenty of important things to be getting on with. As for "how people's joining IOPS is supposed to further these objectives" we leave that to their imagination - as with you and Zane, we want to leave room for "energy and creativity". P.S. if you genuinely do not understand the logic of interim IOPS then there is a pre-members forum where you can ask questions and seek clarification. I don't and didn't dispute that there are many meaningful things our "interim" members can do – in theory. But when an isolated member gives a talk, or supports progressive efforts in their workplace or community, how would you know it? It is extremely unlikely that you would be aware of these efforts. They would be invisible to you. We have no way of knowing to what extent the lack of visible engagement is due to a lack of engagement or to a lack of visibility. Therefore I think that it is not good to ascribe our current predicament to members "choosing" not to engage. This in addition to the fact that, notwithstanding your claims, for many (I think in fact most) members none of the options you mention is realistic. Do you expect someone who has never before engaged in activism of any kind and has never spoken in public, and who does not personally know any other member, to rent a slot in a lecture hall, print and distribute flyers, and deliver a talk? Moreover, I wonder, if a member is energetic and rich enough to do all that on their own without any organizational support, are they then allowed to speak for IOPS? If they do, they face the risk that someone in the audience will point out that they do not have a proper understanding of the interim logic of IOPS – in fact, that they did not interpret the IOPS key documents in the right way and that they should not have signed up for IOPS membership. I don’t follow. Members who are engaged in these kinds of activities can easily let other members know about it via the various features on our site - the blog system, the events page, the forums, the messaging system etc. I do wish you would respond to what I actually write, Organising and giving talks was one of the options I highlighted. But writing was another, and if a member lacks confidence then starting with short blogs would make sense. Supporting progressive efforts was another option I highlighted that members with little resources and experience could engage in. Not officially, no. But that is not a barrier to organising talks. There have been members who have given public talks as members of interim IOPS. However, they did not claim to be speaking for IOPS, but just as members of IOPS. Obviously, with functioning chapters things could be different. Yes, and the problem with that is...? Thank you, Youbi! I totally love this project! Love the energy and creativity. I'll be my usual controversial self, and throw the cat amongst the pigeons: why not accept that we who're interacting here are not a face-to-face group right now, and so we create a 'Virtual Chapter' for ourselves. Going with Johannes' idea about multiple logos, why not create a new website for this new 'Virtual Chapter' (call it Dream Lego, or The Rumpus Room or something ;) ), and simultaneously create an entirely new architecture and coding for it, allowing for Lambert's ideas of “state-of-the-art tools for collaborative authoring", where we can upload whatever images we want, play with them together as want. It’ll be fun! C'mon guys, if we're going to be prefiguring a truly global participatory society, how about physically doing it from the code up? Any good ideas from that site which the ICC endorses, or sufficient other international members like and which could be integrated into the main site can be decided at the founding convention. If other chapters like what we do, they can incorporate it into their own individual chapter websites, just as we can copy their good ideas. It’ll all be open-source, anyway. But, as Michael has always encouraged chapters to do, we, as a chapter, will be free to decide what we want to do as we progress, in a participatory manner. We live the participatory principles right now, but virtually. And still prefiguratively. We have the skills, we have the technology, we have the ideas, we have the designs, we have the creativity, and with Youbi, we have the youthful energy. What more do we need? Let's start building the website of the first Virtual Chapter of IOPS! It's time, people! The time is now! Thanks Youbi for this interesting blog. I like many of the logos but I will go with the hands logo. It has many powerful connotations. It is simple and profound at the same time. And it goes in harmony with the policies of IOPS. Great, Youbi! Take your time with replying. I teach English as a 2nd Language in London, so I completely understand your worry. You just take as much time as you need to reply. Also, here at IOPS no-one will criticise your language, so don't worry trying to make it perfect! It’s better if this is an organic self-organising process. I gather that each chapter can make their own logo if they wanted to, but that there is a need for a main international IOPS logo. I recommend members compile logo images they made or found and keep them until we figure out the best way to make a poll with images. Someone in my chapter said widgets can be used so the images can be on the IOPS website. But I don't know much about this. What are your ideas? To move this project along can we set a date for submitting images, perhaps by the end of February? Then a poll/vote can happen for members to choose the new logo. Yes, definitely better as an organic, self-organising process. Yes, each chapter can make their own logo if they wanted to. Yes, some people feel that the main IOPS logo should also be changed. Now, the problem is that anything to do with the main international IOPS website or documents can only be changed at the founding convention. From my experience, it would be better for you (and everyone), not to put energy into trying to change the main logo, as this would be impossible at this point, and your energy would be wasted. Instead, put all your creative energy into creating a logo for your own chapter. Share your process with the rest of us by reports and blogs like what you've done here. In that way, your creative work will then inspire other IOPS members in their own chapters to also be creative. This energy will then create a huge variety of organic, self-organised images, which would provide a source of ideas for others to begin considering how creative they can be in their own chapters, and in IOPS at an international level. So, please keep sharing what you do with us here, but put your actual creative energy into your own chapter. Now I want to speak to everyone, not just to you, Youbi: in general, for those who aren't part of a physical chapter like Youbi is, I'd like to repeat the proposal I made earlier in the blog for creating a virtual chapter. This would allow those of us who aren't part of a physical chapter to also take part in a similar creative exercise. The tools aren't available on this international site, as this is the offical one, and any changes must be decided at convention. On a chapter site, however, the members themselves, in a properly self-organising way, can create the changes themselves. Including to logos, wording, and so on. But: if you can get a an image bank on this site, that people can use, and maybe even vote for later, that would be great! But at the same time, keep working on your own logo. I think the current logo is fine, very clean and fits well with the style of the site. I am not against a change so long as it is well done and fits with the style of the site. I think hand-drawn looking logos will take away from the serious, world changing nature of the organization. The IOPS logo shouldn't look like it's advertising a folk music festival. Perhaps there are some professional graphic artists in our numbers? Ideally our logo should not only be in accord with the seriousness of the cause and of our determination, but also express a sense of joy and playfulness as signifying the better world we are creating. Also Lambert, I completely agree!!! Zane: "Now I want to speak to everyone, not just to you, Youbi: in general, for those who aren't part of a physical chapter like Youbi is, I'd like to repeat the proposal I made earlier in the blog for creating a virtual chapter. This would allow those of us who aren't part of a physical chapter to also take part in a similar creative exercise. The tools aren't available on this international site, as this is the offical one, and any changes must be decided at convention. On a chapter site, however, the members themselves, in a properly self-organising way, can create the changes themselves. Including to logos, wording, and so on." Just for the record, I think this self-organised 'virtual chapter' a great idea Zane, very worthy of further discussion. Hi Youbi - here are the questions you pose at the end of your blog followed by my answers. 1. Do you think we need to change IOPS’s logo? 2. How can we make the project page where we can post logos and share images? I am not sure but I imagine the site admin could help. 3. How long should this logo project go for before we (hopefully) make a new logo? For the duration of the interim phase. 4. And how can we decide which logo to use? Should we vote? Following our formal launch we could have an on-line poll that would allow all members to vote. Thank you for your feedback. We will start collecting some images and share them to see what other people think.